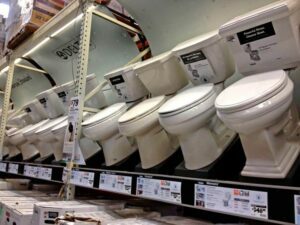 How to buy the best toilet, with information on toilet types, materials and flush systems, high-efficiency toilets and bathroom bidets. When shopping for a new toilet, you’ll find a world of possibilities. 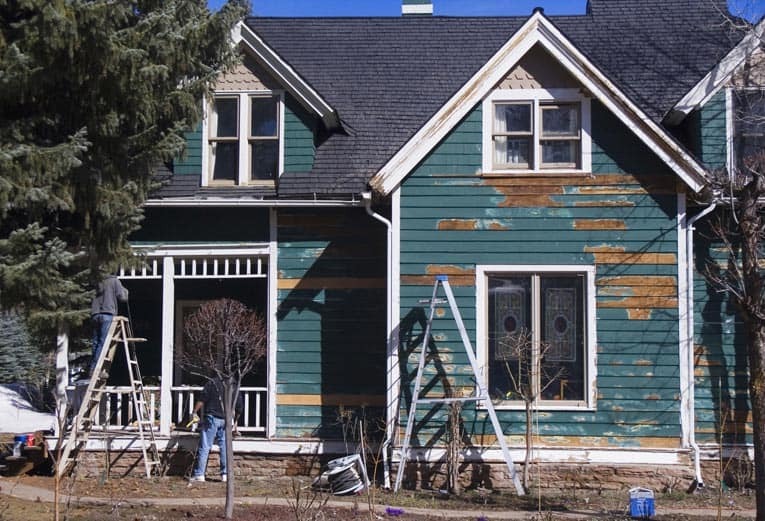 This guide will help you make a smart choice. You can shop for toilets on Amazon. Toilets come in a number of styles, colors, and prices, but how well a toilet does its job has nothing to do with these factors. Because federal law now stipulates that new toilets must use no more than 1.6 gallons of water per flush (compared with the 3 to 7 gallons used by older models), a reliable toilet will be one that generates enough power to clean the bowl. A traditional gravity flush system, which uses the weight of the water to provide flushing pressure, is more apt to clog and less likely to rinse thoroughly with the new water limits. A better alternative is a pressure-assist flush system, a style that uses pressurized air to force water into the bowl. This system is, however, noisier than gravity flush toilets and can require more frequent repairs. Some models must be plugged into an electrical socket. This best-selling dual-flush toilet uses 25% less water than a 1.6 gallon model. It features a 1-gallon “light” flush for liquids and a 1.6-gallon flush for solids. Toilets come in one- or two-piece construction. Two-piece toilets employ a separate tank and bowl. One-piece toilets, also called “low profile toilets,” merge the tank and bowl into a single unit. A two-piece model will cost less, but a one-piece toilet is easier to clean because it does not have the crevice between the tank and bowl. One-piece toilets often include a seat with the unit, while most two-piece units do not. 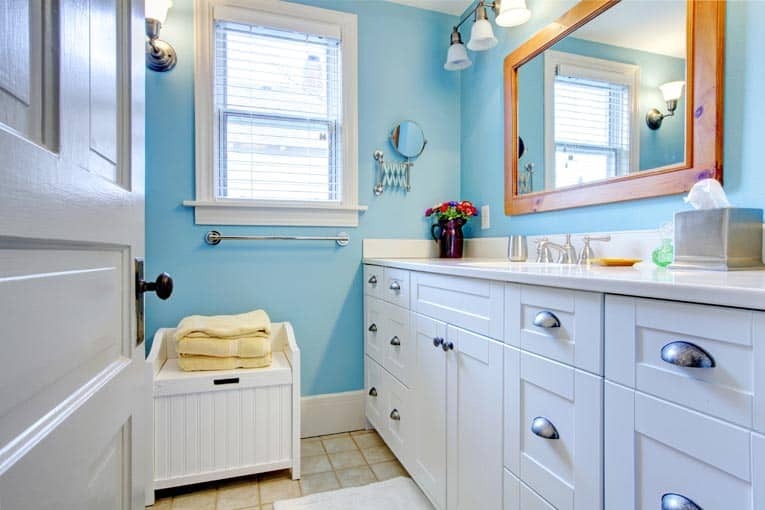 For small baths, wall-mounted toilets are available, but they can be hard to find and expensive in price and cost of installation. 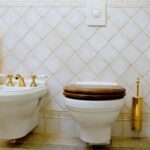 Toilet bowls are either round or elongated (the latter are 2 inches longer and have a larger water surface). Seats, which come in different materials—including wood, plastic, and polypropylene—match the bowl’s shape. Some seats are cushioned, contoured, or heated for extra comfort, and some automatically trigger the flush mechanism when the top is closed. Before shopping, be sure to measure the “rough-in,” or the distance from the wall to the center of the toilet drain. A 12-inch rough-in is standard, but some are 10 or 14 inches. High-efficiency toilets (HETs) have been defined by the plumbing industry and the Environmental Protection Agency (EPA) as those that use an average of 20% less water per flush than the industry standard of 1.6 gallons. 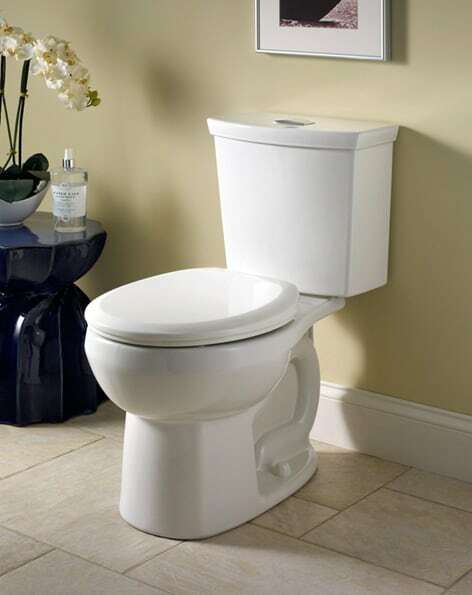 Chair-height two-piece toilet with elongated bowl uses only 1.28 gallons per flush. For a family of four, that can mean a savings of almost 9,000 gallons of water each year. That’s not only green, but it also makes sense, especially in an age where public water prices are on the rise and aquifers are being depleted. * The gravity-fed single flush toilet operates like a traditional toilet but can use as little as 1.1 gallons per flush. * For households who want more than one option when flushing, the dual-flush toilet allows you to choose between one mega flush, which uses up to 1.6 gallons of water, or the more modest light flush, which rinses with only .8 gallon of water. These toilets average out to use about 1.2 gallons per flush over the course of a year. * Next on the list is the pressure-assist toilet, which uses water line pressure or a small air compressor to force the 1.1 gallons of water through the bowl at a much higher rate of speed. These toilets can flush greater loads faster at a significantly lesser volume of sound. * The final HET suggested by PATH is the power-assist toilet, which operates using a pump to force water down at a high velocity. Power-assist toilets require a 120-volt power source to operate the small, fractional-horsepower pump. 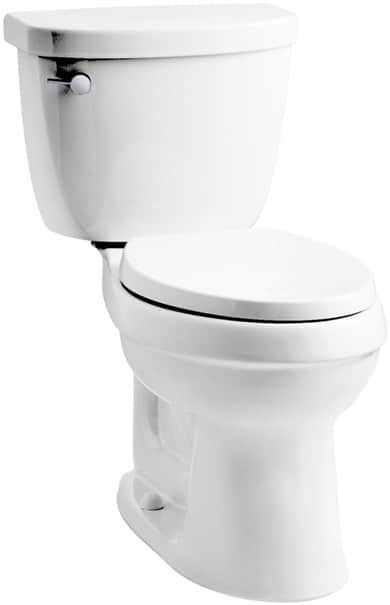 Typical flush volumes are between 1 and 1.3 gallons per flush; dual-flush models are also available.